Catholic dioceses in China are being required to show how they will reduce foreign influences and adopt a more Chinese ideological and theological identity. The aim is to do this through a five-year plan running until 2022. A strategy was agreed at a May 17 meeting of the Bishops' Conference of the Catholic Church in China (BCCCC) and the Chinese Catholic Patriotic Association (CCPA). Now all dioceses have been told to state in writing by the end of August how they intend to meet the requirements. 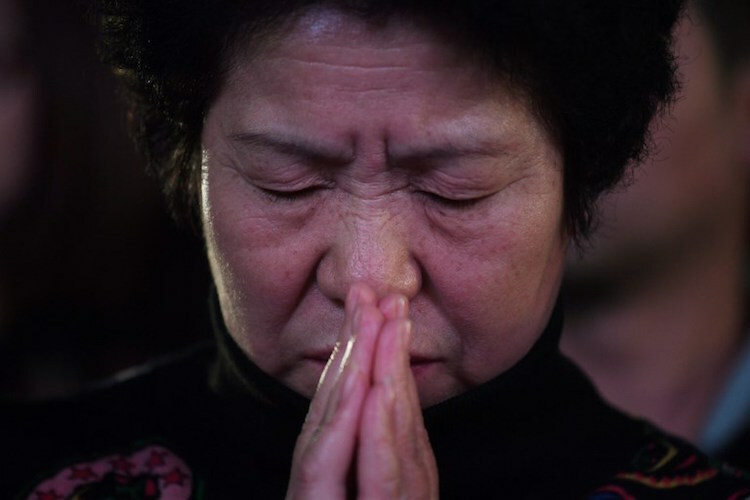 A 15-page document includes sections dealing with deepening the political, legal and social identity of Chinese Catholicism as well as promoting the faith. Further, it requires development of church management policies with "Chinese characteristics". And dioceses are being told to adopt church architecture, painting and sacred music more in keeping with Chinese culture and traditions. The word 'Sinicization', which according to one dictionary definition means to 'modify by Chinese influence', is mentioned 72 times in the planning document which was obtained by ucanews.com. The policy master plan notes that the two main officially recognized organizations, the Bishops' Conference and the government-backed Patriotic Association, are already promoting Sinicization through seminars and other means. However, it complains that many ordinary Catholics do not "accurately understand its implications and goals". It had therefore been decided to ensure a systematic approach in keeping with President Xi Jinping's stated aim of continuing education on "independence, autonomy, and self-management" of the Church. This centers on Christians recognizing their responsibility to "love the motherland" and accept the leadership of the Chinese Communist Party, the socialist system and the nation's constitution. Study and exchanges could help prelates and ordinary Catholics practice socialism with Chinese characteristics in Xi's new era, the Sinicization blueprint states. It emphasizes the constitution and work regulations of the Patriotic Association as well as dioceses being involved in educational activities, historical research and publishing. A research institute is to include scholars from both inside and outside of the church. Aims include compilation of a history of the Catholic Church in China and establishing archives on Catholicism. Traditional Chinese culture and philosophy are to be more widely taught in seminaries. The Patriotic Association and Bishops' Conference are to take a lead on publishing a textbook dealing with Sinicization and there is to be a biannual forum on the subject. The policy directive requires that educational efforts emphasize the rule of law and disseminate new religious affairs regulations that came into effect earlier this year. Also on the drawing board is a booklet on liturgy highlighting "Chinese traditional features". Dioceses are told to conduct seminars and symposiums on Sinicization, including on the relationship between the church's ruling hierocracy and democratic management. The planning document states that division of responsibilities between the Patriotic Association, the Catholic Administration Commission and dioceses should be more clearly defined. The role of local Patriotic Associations and the Catholic Administration Commission in relation to official registration of church organizations, religious venues and colleges is to be strengthened. The plan stresses that Sinicization of Chinese Catholicism cannot be separated from effective organizational restructuring, with the Patriotic Association and Bishops' Conference taking the lead nationally. However, this would be done in coordination with provincial, municipal and autonomous region church authorities as well as parishes and seminaries.